Here is an announcement I make with much excitement. Belladonna Publishing has announced the table of contents for its upcoming anthology, Strange Little Girls, and I’m in it! 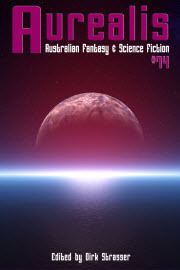 My story Pretty Jennie Greenteeth will be appearing in it, alongside another favourite Australian writer of mine, Angela Rega.